Proverbially, MP4 won't play on Windows and Mac has been a perplexing problem for a long time, even though you have updated your Windows Media Player or QuickTime to the newest version. Happily, there are gushes of solution to MP4 file won't play problem in Google search results that can drag you out from the confusion if you have the patience to look through the methods one by one and find the best workaround for your question. 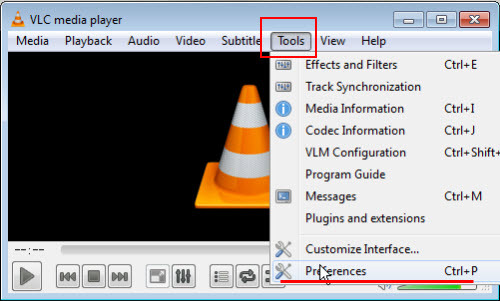 To make things easier, here we gather all MP4 video won't play on Windows/Mac issues on a page with solutions to help you solve can't play MP4 files on Windows Media Player, QuickTime, VLC, etc without opening pages again and again. With built-in comprehensive video audio codec including MP4 (HEVC H.263/H.264/H.265, AAC, etc), 5KPlayer is surely the ideal MP4 player when your Windows Media Player, QuickTime, VLC, etc can't play MP4 video files. No need to download a codec pack, convert the MP4 video format or install a plugin. Nothing is better than 5KPlayer to play MP4 files on Windows /Mac. 1. Why MP4 Won't Play Problem Exists? 2. How to Solve MP4 File Won't Play on Windows/Mac? Why You Can't Play MP4 Files? To solve MP4 won't play problem, you must know what is MP4 format. Put it simply, MP4 is a container format like MKV that includes audio/video codec, images and subtitles, in which the audio or video codec determines how to and what a MP4 player can play a MP4 file most. For instance, VLC can't play MP4 files containing H.265 codec; Windows Media Player doesn't support MP4 format natively and QuickTime supports MP4 videos encoded with MPEG-4 or H.264 video codec and AAC audio codec only. If your MP4 video encoded with other codec, you will fail to play MP4 on Windows  or Mac. How to Solve MP4 File Won't Play on Windows/Mac? Windows Media Player can't play MP4 file format natively as it was designed to be only compatible with WMV, AVI, ASF, MPG videos formats and WMA, MP3, WAV, AU, AIFF audio formats. You can now upgrade Windows Media Player to version 12 to play some MP4 files on Windows 10/8/7. However, Windows Media Player 12 fails to work occasionally. You have to turn to other way to solve MP4 video won't play on WMP (12). 1. Download Codec Packs: You can play MP4 media files in Windows Media Player when you install DirectShow-compatible MPEG-4 decoder packs. DirectShow-compatible MPEG-4 decoder packs include the Ligos LSX-MPEG Player and the EnvivioTV. Of course, there are a bunch of Windows Media Player codec packs on the Internet that will help WMP (12) play MP4 files. K-Lite and CCCP are the most recommended ones at all times. 2. Convert the MP4 Format: Another feasible way to solve MP4 file won't play on WMP is to convert MP4 to Windows Media Player supported formats like WMV, AVI, ASF, MPG, WMA, MP3, WAV, AU and AIFF. There are a variety of video converters on the market, among which WinX Video Converter, Any Video Converter, Freemake Video Converter and HandBrake are the Big 4 you can trust. MP4 (MPEG 4) is actually a standard that Apple really pushed with Quicktime 6. So, naturally, you will be able to use .mp4 just fine on a Mac with QuickTime player. But in reality, QT will only play MP4 files that have been encoded to meet Joint Video Team (JVT) standards. It will not play files encoded using proprietary codecs, files encoded employing hybrid features/settings, or files containing content other than MPEG-4 (part 2/10) video and/or MPEG-4 (AAC) audio. That is to say, MP4 won't play on QuickTime also happens. How to solve? 1. QuickTime 7 and above can handle MP4 files well. QT 7 Pro is powerful enough to deal with that, but at a certain cost - $29.99. Moreover, if you want to play MP4 files with QuickTime on Windows 10, you have to download QuickTime for Windows 10 and follow a complicated guide to install it. 2. You can go to Softonic or CENT to get QuickTime MP4 codec pack to strengthen your QT as you do to WMP. It is also available for solving MP4 won't play on QuickTime by converting MP4 to QT recognizable formats including MOV, M4V, MP3 and M4A. As it is mentioned above, you can choose a video converter to achieve that. VLC plays most codecs with no codec packs needed: MPEG-2, MPEG-4, MPEG-4 ASP, H.264, DivX 4/5/6, XviD, SV1, 3ivX D4 and H.264/MPEG-4 AVCMKV, AMR, WebM, WMV, MP3, etc. However, MP4 files containing codecs like H.265 and other VLC unsupported audio video codecs cannot be read by VLC. Besides download VLC codec pack from its official website and converting the MP4 format to solve MP4 won't play on VLC, there is another situation you have to notice. Now close VLC and open it again, load your MP4 videos and see if your MP4 won't play problem has been solved or not. Actually, it is risky to download a codec pack that may bring adware/malware/virus to your computer and time-consuming to convert a video formats step by step. Upgrading your default MP4 player often a paid method and resetting the preference is also quite complicated. Why not try an easier and free way. 5KPlayer – the best free solution to solve MP4 won't play on Windows /Mac: No need to download any codec pack, convert the MP4 format or reset your MP4 player, you can play MP4 files encoded with different codecs smoothly and in high quality, plus a lifetime free upgrade on Windows 10/8/7 and Mac (OS X/OS Sierra). 100% compatible with codecs in MP4 including H.263, H.264, H.265, AAC, MPEG-4, DivX, VP9, HEVC, etc, 5KPlayer will surpass your imagination. Besides playing MP4 video files, 5KPlayer, as a multimedia player also supports VLC-compatible formats (MPEG-2, MPEG-4, MPEG-4 ASP, etc), Windows Media Player-adaptable formats (WMV, AVI, ASF, MPG, WMA, MP3, WAV, etc), QuickTime-recognizable formats (MOV, M4V, MP3 and M4A) and 4K UHD 1080p 720p HD etc videos. Available for online video music download, you can get various movie song resources with 5KPlayer from YouTube, Dailymotion, Vevo, etc at will. How to Solve MP4 Won't Play on Windows/Mac with 5KPlayer? Step 1. Get the professional MP4 player – 5KPlayer. Free download 5KPlayer, install and run it on your PC/Mac. 5KPlayer is a 100% clean free software containing no plugin, malware, virus. Step 2. Play MP4 files with 5KPlayer in 3 ways. 1. Click the "Video" icon on the main UI of 5KPlayer and choose the MP4 file you want to play from the popping up window. 2. Find the MP4 video file you saved in your local folder, then drag and drop the file directly to this MP4 player to open. 3. 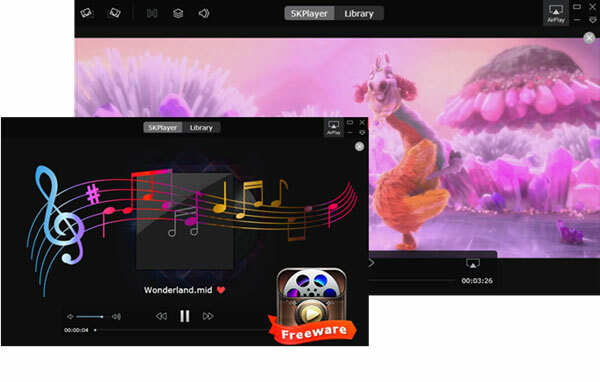 Right-click the MP4 file locally-stored and choose Open with 5KPlayer. Step 3: No need to worry about the MP4 won't play issue, just enjoy your MP4 video files. * You can also handle your 4K UHD 1080p 720p HD MKV FLV MP3 AAC OGG etc following the guide listed above. * If you have no MP4 files, you download them online with 5KPlayer. * When you play MP4 with 5KPlayer, this MP4 player also offers you the capability to stream MP4 videos to HDTV via AirPlay. Can't play MP4 files online/offline on your computer? Eager to know what plays MP4 files on Mac/PC? Check it out here.